Plan and publish your menus with Health-e Meal Planner, then put them right in your customer’s hands with our mobile app: My School Menus. Our professional services team is ready to help you reach your goals. From data entry to administrative review preparation we’ve got your back. Our simple, intuitive software offers nutrient analysis and menu planning, including one-click publishing to interactive menus. 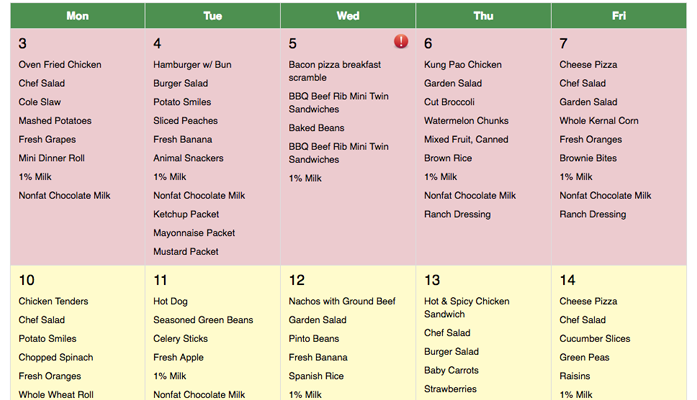 Color-coded menus make meal planning easy while maintaining compliance. With on-going, real-time monthly updates, you can be confident that the software is running optimally. Health-e Pro is cloud-based, offering anytime, anywhere access–on any device. With over 5,000 pre-loaded products and recipes, we have everything you need to make your standardized recipes fully compliant. 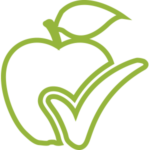 Easily plan compliant menus for SBP, NSLP, CACFP, SSFP and Smart Snack standards. 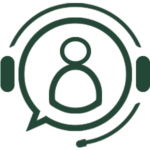 After the included initial one-on-one training, continuing support is friendly and responsive via phone or email. Whatever you need is covered, from professional development webinars to video tutorials. 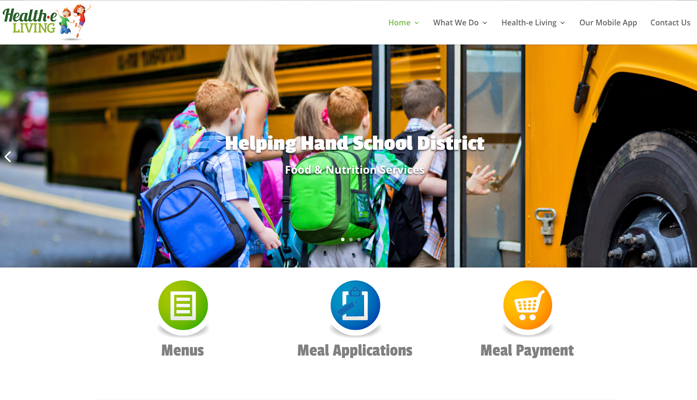 Publish your menus to our interactive, online website and mobile app for students, parents, and school administrators to access anywhere and on any device. Customize a Health-e Living website to add your menus, meal applications, and online payment options, along with other valuable nutrition resources to share with your community.